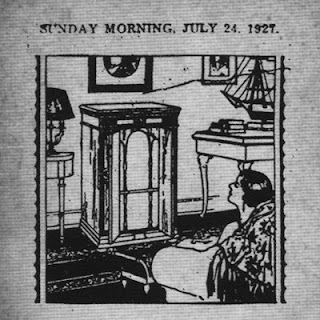 On July 24, 1927, the Bristol Herald ran an ad for the Clark-Jones-Sheeley Company touting the local concern's line of new "Orthophonic" Victor Victrolas. Towards the bottom of the ad was a notice that "The Victor Co. will have a recording machine in Bristol for 10 days beginning Monday to record records - Inquire at our store." Miraculously not one but two legends of country music would be discovered when they presented themselves at these sessions. 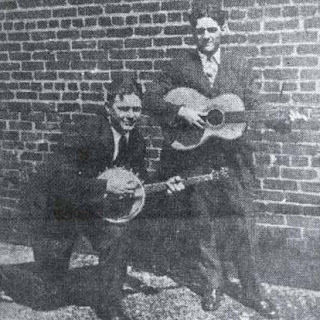 Both Jimmie Rodgers, who actually had come to audition as part of a string band, and A.P., Sara and Maybelle Carter, the "original" Carter Family would make their first records in a vacant building on State Street in Bristol. The man in charge of those hot July sessions was Ralph Peer, a man who would figure greatly into both acts' careers. This folder contains 18 tracks recorded by Peer in Bristol on that 1927 outing. Featured are not only Rodgers and the Carters, but many other performers as well, some well know (Ernest Stoneman), some obscure (Alcoa Quartet). 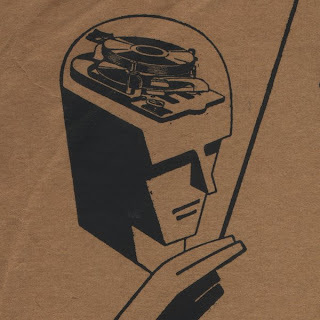 It is a fascinating glimpse into a time and place in which a major record company was scouting the backwoods, hoping to find recordings that would score with rural record buyers, or potential record buyers, and in doing so actually brought those rural dwellers and their music into the new century. 24 late '20's tracks by "Sam & Kirk McGee from Sunny Tennessee" are featured in this post. These range from Sam's instrumental guitar rags, blues, sentimental songs and novelties, with some of the tunes also featuring Uncle Dave Macon. 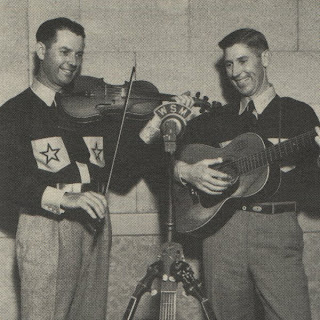 The McGees were featured on the Grand Ole Opry from the twenties right through the to the seventies, and recorded several albums in later years on the Starday, Arhoolie and MBA labels, as well as on the Folkways label along with Fiddlin' Arthur Smith. These, however, are the very first recordings the brothers made, and are what their high reputations were based on. 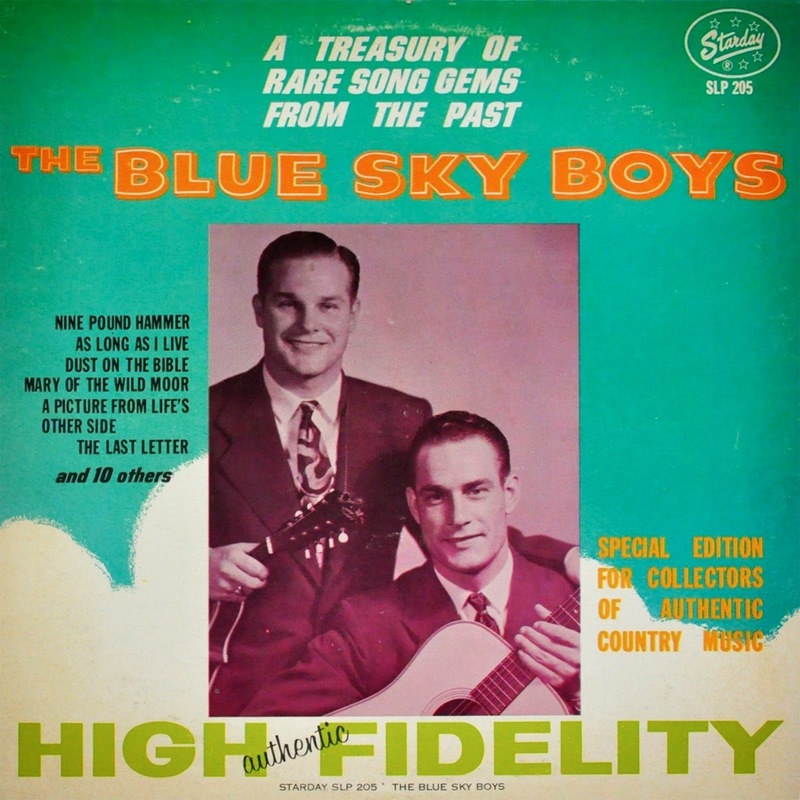 In 1962, Starday Records arranged through Bill Bolick to issue an album of the Blue Sky Boys recordings which he had preserved on electrical transcriptions originally intended for radio broadcast. The result was SLP-205, colourfully titled "A Treasury Of Rare Song Gems From The Past". The popularity of the LP led Starday to bring Bill and Earl Bolick to Nashville to record two more albums of new material. Those albums launched the brothers on another career which lasted well into the 1970's, including more albums on Capitol, County and Rounder and numerous re-issue LPs of their seminal recordings for the Bluebird and RCA Victor labels. 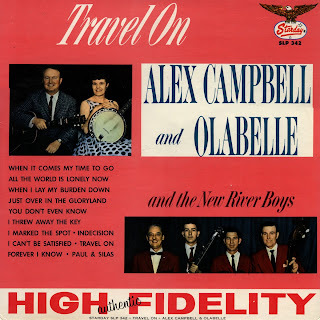 Those two albums from 1963 have already been featured at the Scratchy Attic, so to complete the boy's Starday discography, here's that first collection of vintage recordings. It features many of the Bolick's signature songs, as well a bonus in the form of fiddler Curly Parker's wonderully old-timey solos. These tracks are really the boys at their prime. I am very pleased to present this post by the legendary Robert Lunn. I spent many years looking for Lunn's 1963 Starday LP (SLP-228) and was thrilled to obtain this copy, which interestingly enough is a British pressing by the London label (HA-B 8124). 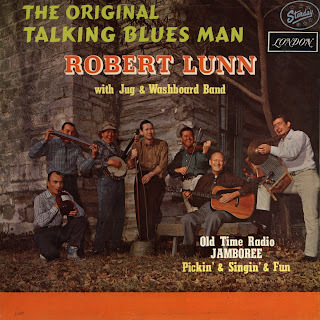 Robert Lunn (1911-1966) was a vaudevillian who began performing on WSM's "Grand Ole Opry" in the mid-thirties and became known primarily for his adaptation of Chris Bouchillon's old 78 of "Talking Blues". He made a few 78s for Mercury in the late forties, but the present recording was his only LP, recorded as part of Starday's series of albums by Nashville's pioneering personalities (the McGee Brothers, Bashful Brother Oswald, Lew Childre, etc.). The recordings here, like on the Lew Childre album, are done sort of like an informal radio show, with all the band (basically Roy Acuff's Smoky Mountain Boys of the time) participating. This is supposedly one of the hardest old Starday LPs to get a hold of, so hopefully this post will allow many a first chance to hear this marvelous record. As a bonus I've included Lunn's 1947 Mercury recording of "Yodeling Blues", a song which he also performs on the LP as "Yodelling Guitar". Enjoy! Because the LP is one continuous program, I have left the recording intact, with single mp3s for sides one and two. Molly O'Day was one of the very first female stars of country music. She began performing on radio as a teen in the late thirties and by the late forties was one of Columbia's most popular hillbilly artists. At the height of her fame she turned her back on performing and along with her husband/duet partner Lynn Davis, devoted her life to religious endeavors. The first four tracks in the folder are radio air shots from 1945, a year before Molly made her first records. These are interesting in that all four songs are really material that is outside the scope of what she would go on to commercially record, from the aggressive "Mule Skinner Blues" to the Lulu Belle Wiseman numbers "Goodnight Darling" and "I Wish I Was A Single Girl Again" and on to "Too Late To Worry" which was a tune by Honky-Tonk and Western Swing bandleader Al Dexter. 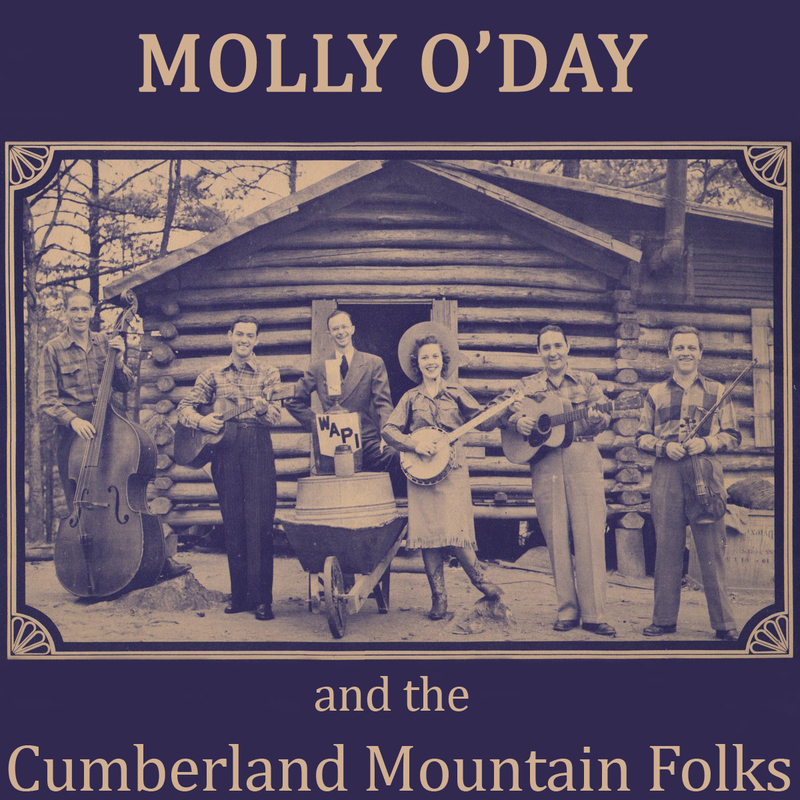 The remainder of the folder comprises of all 36 of the recordings Molly and the Cumberland Mountain folks recorded for Columbia between 1946 and 1952. 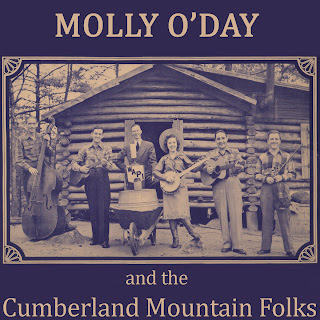 These feature Molly, her husband Lynn Davis on guitar and vocals, her Brother Skeets Williamson on fiddle, and at times a young Mac Wiseman on bass. The 70 tracks in this post constitute the entire remaining recorded output of Lee and Austin, the Allen Brothers. Known as the "Chattanooga Boys" the brothers were known and continue to be revered for their bluesy sound and "salty" material. These sides are unique in their use of Kazoo as a lead instrument. 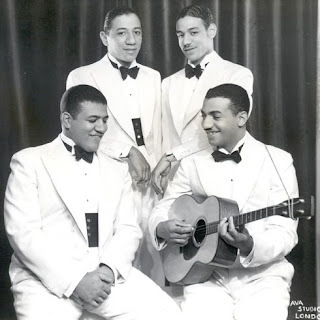 The brothers made records from 1927 to 1934 at which point they gave up music and pursued other careers. This post comes from a rare tape I have of nineteen recordings from Grandpa's 1952-1956 stint on RCA Victor. He seemingly followed Homer and Jethro from King over to "The Dog", and although his King years are generally regarded as his most fruitful, these takes are in no way second rate. 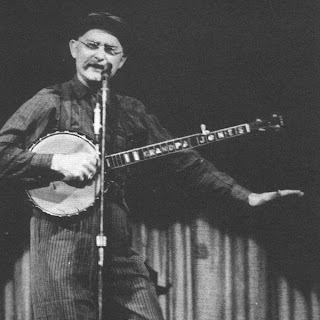 Particularly fun here are the Minnie Pearl duets, and the very topical "I'm No Communist". A real favourite of mine here is the beautiful vocal duet with his wife, Ramona, on "Mountain Laurel". Jones was indeed a comedian and novelty entertainer, but this should not outshine the fact that he was a great country and ballad singer. All in all, these tracks stack up very well with Jones' King output, which will be featured in a future post. Jim & Jesse McReynolds are featured in this post of yet more vintage radio. 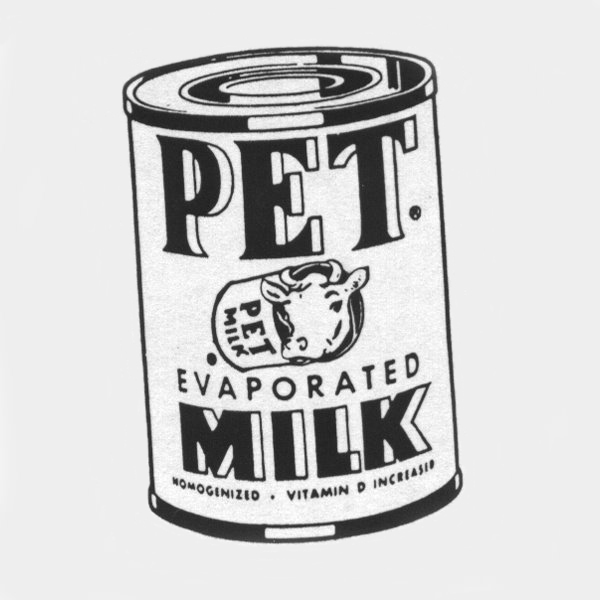 These two shows were recorded at station WBAM in Montgomery, Alabama in 1962, one for the Martha White company and the other for Fortune Feeds. 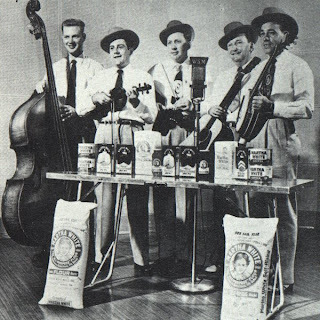 They feature many songs the brothers never recorded commercially including great instrumentals as well as sponsor's jingles. Two downloadable zipped folders here containing great 1950's radio by Lester Flatt and Earl Scruggs and The Foggy Mountain Boys. 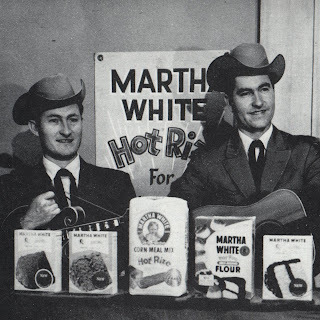 The first download contains two episodes of "Martha White Biscuit Time" from June 1953, as well as a collection of single tracks from rare early 50's airshots. 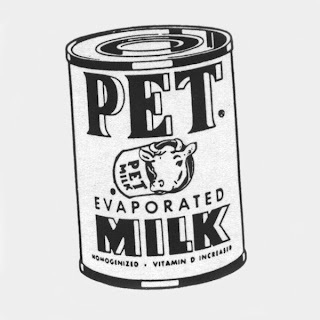 The second contains two 1959 episodes of the "Pet Milk Grand Ole Opry" along with some bonus single tracks taken from the same series. These recordings were issued on 1970's era white label "bootleg" LP's, and given the quality of the material here, I'm surprised they haven't circulated more. Enjoy! 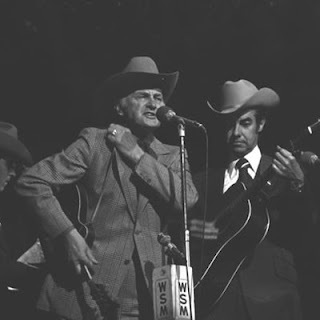 Another episode of Vic Mullen's "Country Road" radio show here, this one featuring Bill Monroe & his Blue Grass Boys. 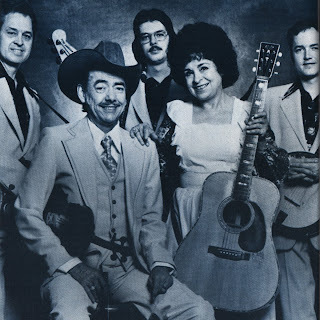 Like the Wilma Lee & Stoney show, this was recorded at Nugget Studios in Nashville, two days earlier on May 4, 1976 (In fact Bob Black, the Blue Grass Boys' banjo player at the time, was lent out to the Coopers by Monroe for their session on the 6th). There's some great music here, although Monroe's reputation as a man of few words is evident as well. Host Mullen tends to gush a little, with Monroe's typical responses things like "right" and a clipped "yes sir". The show is enjoyable nonetheless, certainly an interesting counterpoint to Bill's studio albums of the period. Hey folks, Lefty here, back again. It's been a little while since the last posting, what with computer crashes, Christmas, and the other realities of life. Here we have two episodes of the CBC radio program "Country Road" featuring Wilma Lee & Stoney Cooper and hosted by Vic Mullen. They were taped on May 6, 1976 at Nugget Studios in Nashville. Wilma Lee & Stoney are in fantastic form here as they sing, play and talk with Vic about their music and careers, Canadian fans ("may I mention the Lord Nelson Hotel?" asks Stoney) and their recent (at the time) Rounder album. As a bonus I have included a live track of "Satisfied" from an unidentified TV or radio show. I don't know the date of this recording, it sounds like the late 60's or the 70's.